You are here: Home › How To Invest In Gold? Gold is glittering as always and is one of the best ways to invest money since the time of our ancestors and is also one of the best ways to liquify your funds whenever needed. Currently, as I write, gold is trading at 27880.00 INR/10g and is predicted to reach around 30,000 levels in 2012. So, are you tempted to buy the glitter? I bet you are! But are you aware of the various options available for that? 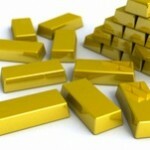 If not, this article will teach you how to invest in gold. The biggest advantage of buying gold in the form of jewelry is that you can show it off to others and add that extra charm to your pride and personality while watching it appreciate in value. An important point to keep in mind is that while buying jewelry, you have to pay making charge of around 200-350 INR per gram over and above the cost of the gold. But while selling it or exchanging it for new designs, you don’t get back that making cost. Buying gold from banks in the form of bars, coins and biscuits is one of the best options. Reason being that the gold is in its purest form and is in tamper proof covers. However, they are sold at a price higher than the prevailing gold rate by almost 5%, which is usually the bank’s profit for providing you with the purest form of the gold. You must also remember that you can’t sell it back to the bank. So, it would be better to buy it from a reputed jeweler. Gold ETFs units are equivalent to 1gram gold and are held electronically in the demat form and traded on the exchanges. They offer good liquidity as you can sell the units quickly at the prevailing market price. 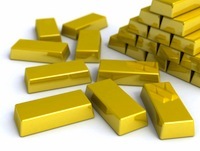 To avoid the hassles of gold ETFs you can invest in gold funds but this comes at a cost. Expense ratio of FoFs is usually higher (2.5%) and a charge of 1-2% exit load if the investment is redeemed within a year. You can buy e-gold setting up a trading account with an authorized participant with the National Spot Exchange Limited (NSEL). Each unit of e-gold is equivalent to 1gram physical gold. E gold offers better liquidity than ETFs and is the only form of gold that can be converted to physical gold. To know more about e-gold click here. Hope this article will help you in deciding your investment option. How do you invest in gold? We would love to hear what option you chose and how your experience was. 3 Responses to How To Invest In Gold? I am new to this world, actually not eligible to officially take part but I am using my father’s DEMAT account. Can we buy gold from normal DEMAT account or we need to open up a new account somewhere else? You need to have a separate demat account for gold. Another option is the Gold deposit scheme offered by a few banks.This works like a fixed deposit where the investor gets periodic interest at a pre-specified rate and and gets back the quantity of gold deposited or its money value on maturity.